Unit Question - What are the rights and responsibilities of citizens in a democracy? Background: Collectively, we want everything in a president: a strong leader, a consensus builder, a good manager, a policy expert, a great communicator, an ethical model, a visionary, and a supreme negotiator. Some judge presidents not by their behavior—how they act—but by their values—what they believe. The problem here is that this opens up a can of worms: What values do we evaluate the presidents by? Our personal liberty, equality, justice, community, economy, and/or quality of life? And how should we rank order such values? And how evenly do we to define these values? There’s a vast confusion here. Can an American president be great without a huge crisis, such as war or depression, which he can exploit politically? Even if a president's’ personal qualities, such as courage or character, were stable and similar from one administration to another, do not ever-changing situations or circumstances make it most difficult to compare the leadership of presidents? These are all tough questions which we attempt to quantify into categories named Roles of Responsibility. What are the rights and responsibilities of citizens in a democracy? Why is important to vote? Start thinking about 2-5 Presidents now! 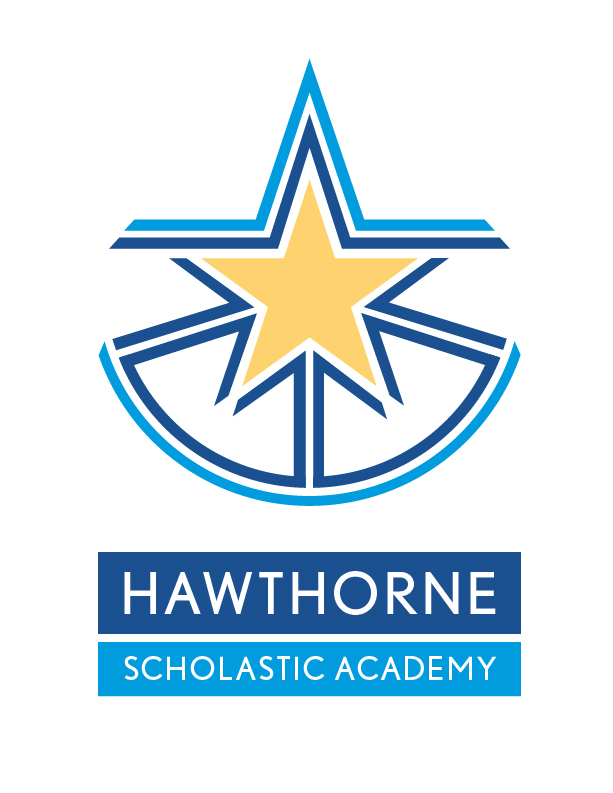 Presidential Report Cards w/ Unit Questions (Unit Assessment) are due Tuesday/Wednesday of January 15th/16th [Block Schedule] NOTE: Please remember printing is your responsibility! What made Ida Tarbell a prominent muckraker? What made or allowed for S.S. McClure's newspapers and writers to become so successful and progressive? What problems did Lincoln Steffens highlight? What did he mean by "advocacy journalism"? What new or progressive technology came out of this time known as the Progressive Age? How progressive was this time for the normal farmers and regular people in the urban cities? Explain. What made the Populist Party so popular? What did they want? What did they ignore? Why is Theodore Roosevelt considered the first Progressive President? Explain the life "Teedie" grew up in. 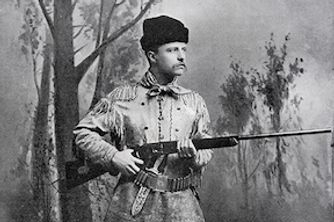 What happened to Theodore Roosevelt on February 14th, 1884? In your opinion, when does the image on p.148 (also left) become real regarding Mr. Roosevelt? What muckrakers influenced Theodore Roosevelt? What were the last colonies of Spain? Why did Spain cling onto them so tightly? 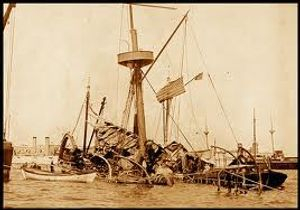 What was the impact of the sinking of the U.S.S. Maine (picture right)? Who was really responsible? Did it matter? Who were the Rough Riders? Why do you think Theodore Roosevelt quit his job with the Navy to lead this group Rough Riders? 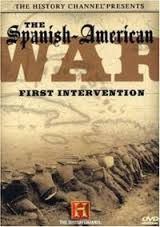 Why was the Spanish American War so popular with Americans? What were the motives behind America’s interventions into Cuba and the Philippines? Why were the Philippines first? Where the motives of the U.S. government behind the invasion of Cuba, Philippines and Puerto Rico justified? In other words, what would be the future of these island without U.S. interventionism? How has the foreign policy created and executed during McKinley, Roosevelt, and Taft influenced future US foreign policy? Is Imperialism a necessary part of the Progressive Movement? 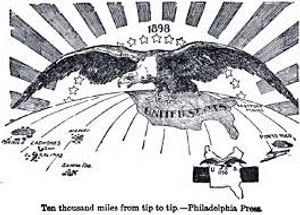 Is Imperialism necessary for the U.S. to achieve it's "place in the sun"? 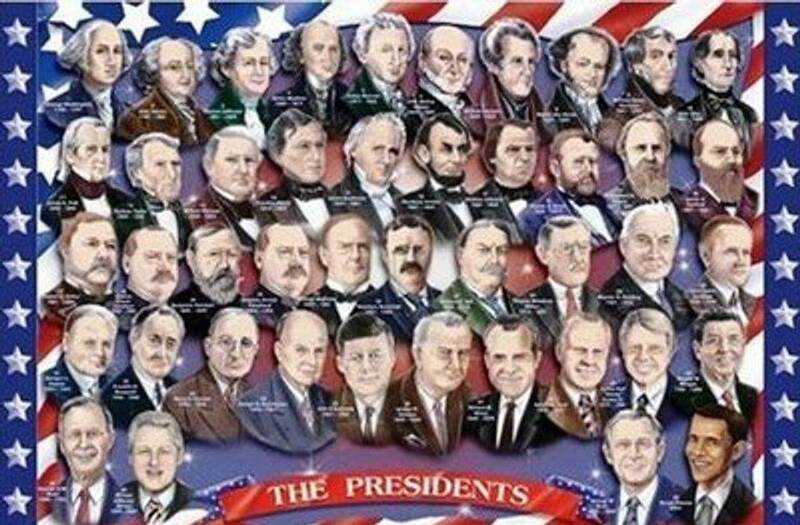 President William H. Taft didn't really want to be president, his real dream, which later will be realized, was to be? 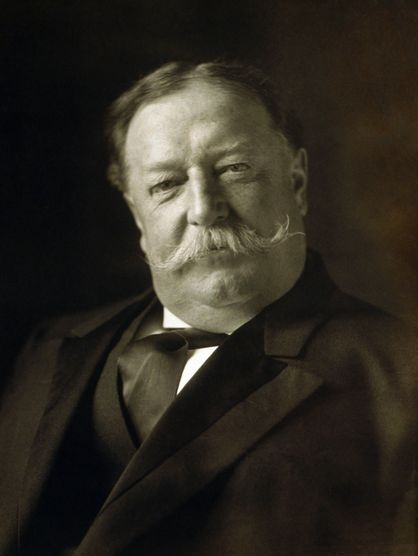 What example does your book give you that Taft was a bit less imperialistic then President Theodore Roosevelt? What does J.P. Morgan mean by, "I hope the first lion he meets does his duty."? What was the nickname for Theodore Roosevelt's Progressive Party? What is the meaning behind the image on page 187 and the Pure Food and Drug Laws image just to the left? 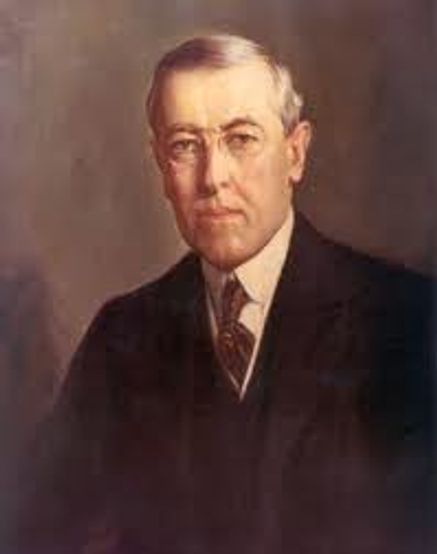 Was President Wilson a Progressive President? Why or Why not? 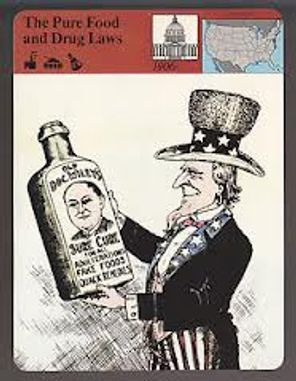 Was President Wilson an Imperialist? Why or Why not? What is the connection between minstrels, Jim Crow, and the birth of Jass? NOTE: Yes, Jass was the name for the musical genre that will eventually evolve into Jazz, but no one is quite sure how. Most will agree that Jazz is born in what American city? Provide an example that Jazz didn't escape racism. What are the instruments you hear in Jazz bands during this time? How did Jazz bands travel at this time? Were the Jazz bands themselves integrated? 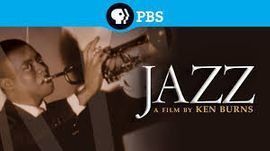 Did the Jazz bands play to integrated audiences? Who was the first African American to face combat in World War I? Who were the Harlem Hell-fighters? What were some of the important cities in the Jazz world? What role did Prohibition play on the popularity of Jazz? What is the meaning behind Billie Holidays' Strange Fruit? Duke Ellington In many ways the "Duke" was the first mainstream American musician. Miles Davis I suggest his The Birth of Cool & Kind of Blue albums. 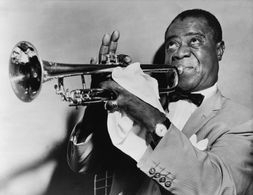 Louis Armstrong The great "Satchmo". Thelonious Monk My personal favorite Jazz musician. Billie Holiday She could make average music extraordinary! Robert Johnson The start of something uniquely American. Muddy Waters This original "Rolling Stone" is one of my favorite musicians of any genre and yes, that is where the Rolling Stones get their name from. B.B. King I suggest his Live in Cook County Jail album. Yes, our Cook County! Chuck Berry "The Father of Rock n' Roll"
Eric Clapton The Blues crosses the pond, "Atlantic Ocean", but don't worry Clapton and the Blues will be back. Led Zeppelin New and heavy for 1968, but still the Blues and still excellent today! After the Civil War, liberated African-Americans searched for a safe place to explore their new identities as free men and women and started their "Great Migration" north. 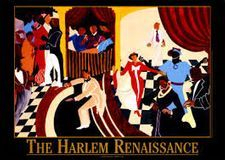 They found that identity in cities like Detroit, Chicago and New York City, but the center or "the capital of black America" was in the New York City neighborhood of Harlem. 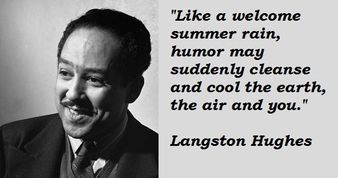 Harlem became home to some of the best and brightest minds of the 20th century, gave birth to a cultural revolution, and will be remembered as the Harlem Renaissance.